After 29 years and 24 state championships, Greg Urbas has announced his retirement as head wrestling coach at St. Edward High School in Lakewood. 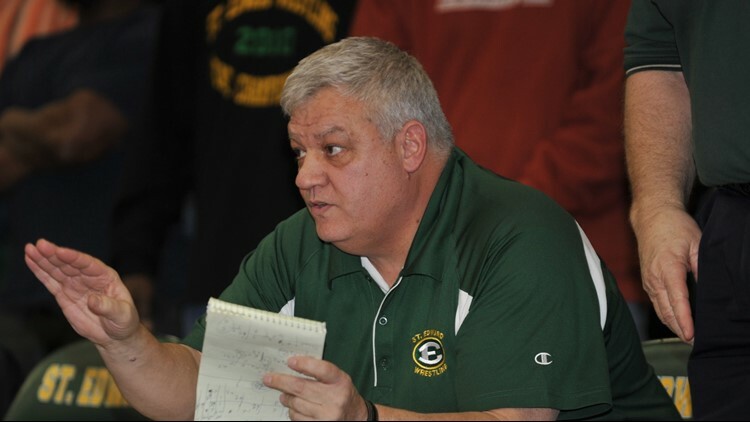 CLEVELAND -- Greg Urbas has announced his retirement as the head wrestling coach at Lakewood St. Edward High School. One of the most successful and decorated coaches in any sport across the country, Urbas made the announcement Wednesday morning. “Beyond his success as a coach and teacher, Greg Urbas is a man of incredible character, integrity and wisdom,” St. Edward President Jim Kubacki said in a statement announcing Urbas’ retirement. During his 29 years as the head wrestling coach at St. Edward, Urbas led the Eagles to four national championships, 24 state championships, 25 district championships and 29 sectional championships. In addition to the team success, Urbas coached 76 individual state champions. Under Urbas’ guidance, the Eagles won 13 straight Ohio Division I State Championships from 1997-2009, and seven of the last eight crowns. And the success Urbas’ wrestlers had did not stop in high school. When Michigan’s Domenic Abounader advanced to the semifinals of the 184-pound tournament at the 2018 NCAA Wrestling Championships in Cleveland this past March, it marked the 35th consecutive year that the St. Edward wrestling program produced at least one NCAA All-American. Along with Urbas’ retirement, St. Edward announced that long-time assistant John Heffernan has been named the Eagles’ new head wrestling coach. A 1984 graduate of St. Edward High School, Heffernan won an individual state championship during his senior year and went on to become a two-time All-American at the University of Iowa. An assistant at St. Edward since 1991, Heffernan was named the 2017-2018 Scholastic Assistant Coach of the Year by the National Wrestling Coaches Association. He was an assistant on 21 state championship teams.